Incredible acting by none other than Johnny Depp. 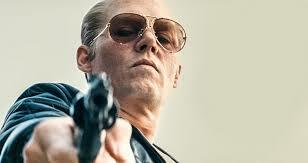 His portrayal of James “Whitey” Bulger is nothing less that remarkable. I’m as sucker for reenactments of real life occurrences and Whiteys reign over “Southy” ( South Boston) during the mid 80’s was epic to say the lease.